It is with great sadness that we announce the passing of Leonard George Sterle on Oct.31, 2016. He was 87 years old. Len was born in Bushnell, Nebraska USA on June 28, 1929, and regaled in his stories of his boyhood growing up on a homestead and the struggles and joys it provided. In 1949 he joined the US Navy, was stationed in Hawaii, and served on the submarine rescue ship USS Coucal ASR-8 during the Korean War. After graduating from California State University, he started a teaching career in Arcadia and eventually made his way to Canada where he settled in Kamloops to teach at Kamloops High until his retirement in 1993. 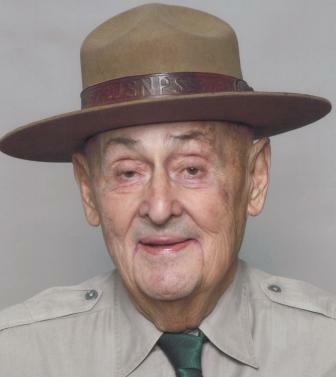 Len was also a Ranger for the US National Park Service and had the honour of being a Ranger at Yosemite National Park for 7 years during off seasons from teaching. 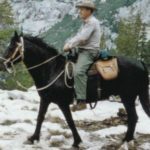 It is here that he says were some of the happiest times of his life riding his horse through the various passes in the High Sierra Mountains. With all of the facets of his remarkable life, one thing remains at the top of his accomplishments- he was an incredible son, brother, uncle, husband, father and grandfather. Len was loved by his wife of 30 years- Jozefina, his sons Gary Sterle and Joe Pek, his daughters Karolina Pek and Paulina Pekova (Cam), and his numerous family members throughout the US. His grandsons Sasha and Pavel Ryga will forever cherish their memories of their beloved Grandpa who would take them camping, make flapjacks for them and tell them stories of his adventure filled life. Our lives are forever enriched to have known and loved him and the graceful way in which he supported and encouraged the people that he loved so dearly. If a life’s success is measured by the people a person loves and impacts in a positive way- then Len was immeasurably rich. There was no service at his request, and the family expresses deep appreciation to the wonderful Staff at Royal Inland Hospital, the Kamloops Hospice Association and Drake Cremation & Funeral Services. We will miss Uncle “Pete” as he liked to be called us older niece and nephews. We love and will miss you.